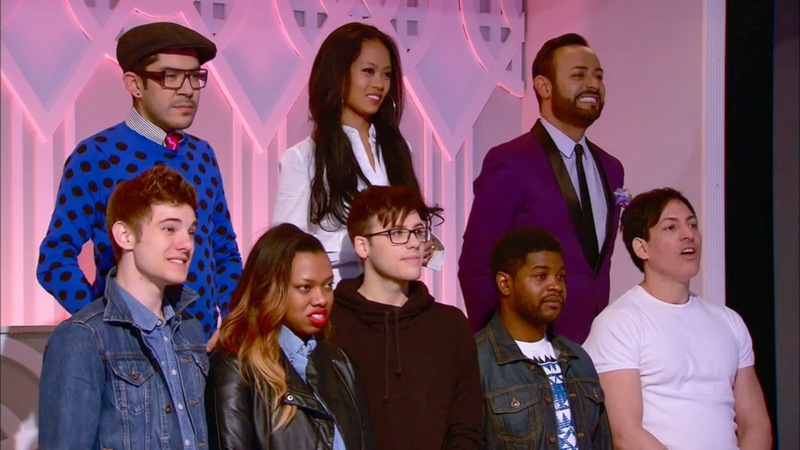 If you've been keeping up with this season's "Project Runway: Under The Gunn", you know that while the other mentors have two designers left on their "team", I only have ONE: Oscar Garcia-Lopez. Needless to say, we both had a lot of pressure. I was very cautious of not doing anything "wrong" (in the eyes of Tim Gunn) and I wanted Oscar to just do his beautiful creations. His client for this challenge was a young woman by the name of Dani. She was petite and wanted something that would make her feel like an adult woman and not someone who shops in the "little girl's department". 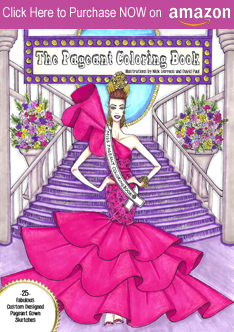 Also, Dani was competing in the Miss California USA beauty pageant and wanted a gown. Oscar Sketch: Here's Oscar Garcia-Lopez' sketch before I came up to them to say "hello", in case anyone thinks I "creatively" controlled Oscar's gown vision for Dani. 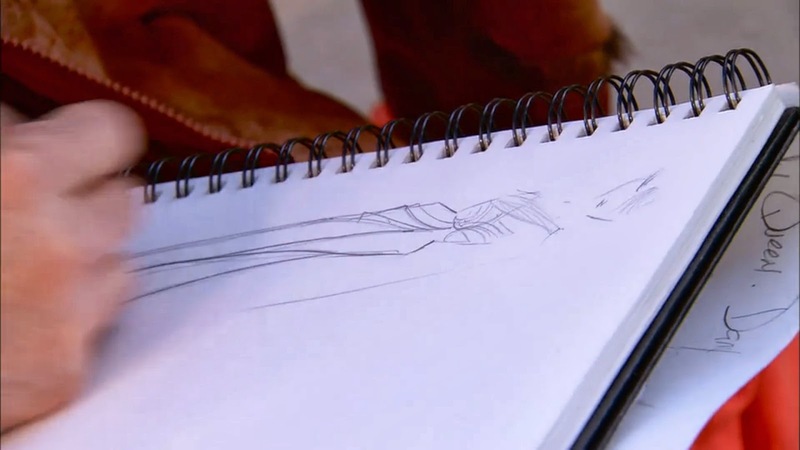 As you can see from his sketch, he already had "created" the gown--the sketch is exactly what the gown turned out to be. and give her the Gown of her dreams, to compete in her next pageant. As you can see from the screen shot above, when Tim and I arrived for the Critique, Oscar already had turned his beautiful sketch into a fully realized muslin sample on the dress form. We're Done Here: During Oscar's critique, Tim was VERY HAPPY with what Oscar was creating (in fact, I think he used the word "GORGEOUS") and I felt very comfortable with it as well. I barely said anything. If you saw the episode, I basically was like "Ummm, OK, we're done here., see ya tomorrow!". Superb: Dani--Oscar's client--looked AMAZING and perfect in the emerald green one-shoulder gown he created IN ONE DAY! It was beautifully made and achieved all the criteria that his client wanted. During the episode I said that yes, it might have "aged" her, but they cut out the part where I went on to say and "Isn't that what she wanted? "; Dani was tired of shopping at a "little girls store" and wanted to feel "older". Personally, I think Oscar should have won and I think he nailed all the client's needs EXACTLY. Just sayin'. Pleat Perfection: Just take a look at how PERFECT and BEAUTIFUL Oscar's hand-pleating is on this gown! And the way he finished the edges of the fabric with the corset/bustier: perfection. I spend THREE weeks making a gown like this--while Oscar spent less than A DAY! Can you say Hashtag Unbelievable??? Yes, I can. I remember Tim Gunn--right before the Runway backstage--away from the cameras--saying to Oscar that his gown was GORGEOUS and that he (Oscar) had made his client so beautiful. I think this is interesting especially since he says something completely different HERE. In case you missed this week's episode, watch it HERE! 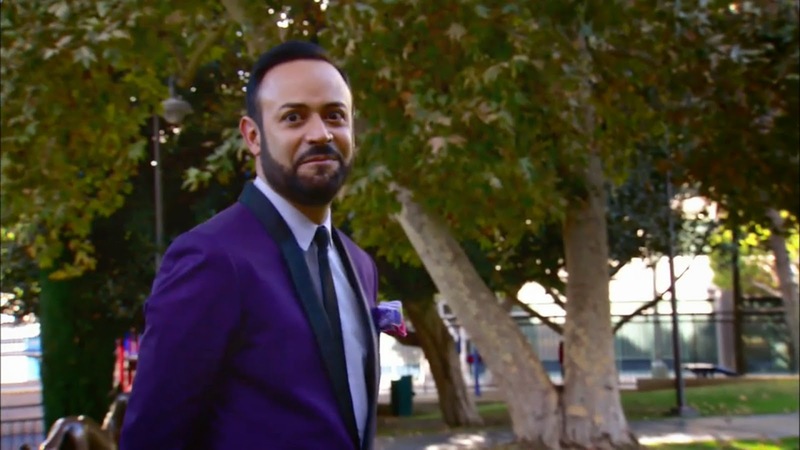 7 Responses to "PROJECT RUNWAY.....Project Runway: Under the Gunn Episode 11 Recap"
I am personally amazed each week what he can accomplish, he should be dressing those girls who need major red carpet moments. Unfortunately, those girls all get loaner dresses, right? You were right. Oscar should have taken that competition. I don't think there could be a better match of mentor and contestant. You encourage but give Oscar his freedom. That is making it work on a master level. 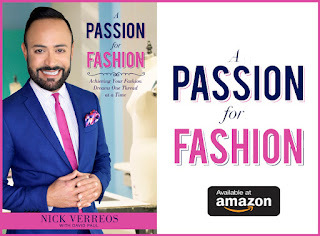 I wish there was a Nick Verreos couture technique class. Oscar might even be a great guest lecturer. You are an inspiration! 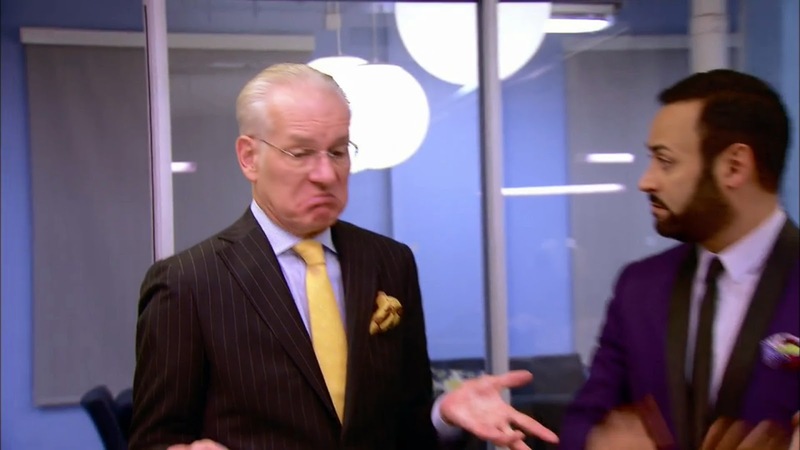 Well, I too am confused by the Tim Gunn clip and what was shown on the show. She looked like an adult like she wanted to. Again, I am confused by this episode. It appears the Tim found the regular judges crack pipe. Which comments were truthful, the ones on the show or the ones afterwards? Is Tim lying to us as viewers or worse, to the contestants during filming. Oh, my goodness, Nick! I don't remember them showing her explaining about the Miss California USA - I wish they would have left that in as it would have made more sense as to why she wanted a pageant gown. Is there any explanation for why he made a green gown? Of course it was gorgeous but I thought the color was a very bold/risky choice. Given that Oscar created, in one day, an impeccable look that satisfied in every way his client's needs (while making her look more red-carpet-ready and less blingy as one usually associates with pageants) he absolutely deserved the win! Plus I just want to say that Oscar seems like such a great guy!! I'm rooting for you and Oscar all the way. This show (and Tim Talks) has been bazaar in the personality shifts and the judging. That's all I'll say. I love your enthusiasm as a mentor, and Oscar has been an amazing designer on the show. I truely respect him, and you, for giving the client exactly what she wanted. I would love for you to have your own show one day. I know there's not a lot of respect for the home sewer in the fashion industry, but a show with you teaching a class with us viewers being able to sew along and learn would be so much fun. I wasn't going to see the ep, but with my daughter's urging (to see if Shan's model was 'faking') I did. And She wasn't. I think Shan, did a good job in making it work. As for Oscar, there is no way he deserved to be in the bottom three. I'm wondering if 'some one' who I once had 'respect' for; had a hand in that. Nick, I still support you, Natalia, and Oscar. And I'm rooting for all of you. As for Tim, I am beyond disappointed in his false accusations. I saw the same show everyone else did. We all saw that Oscar had the dress sketched even before the critique. For him to call it the "Nick" show with the designers executing 'his' (meaning your designs) is beyond the pale. There is no justification for it. I'll catch up with the shows on lifetime (for as long as you and Oscar are on). After that though, I'm done. I agree with @GwenHembrook when she said "You and Oscar are the winners, no matter what happens :)"
I would add to that, that Natalia is a winner as well.